An excellent selection of high-quality, great value, motoring history reference books by some of the world's leading motoring historians and authors. Most titles include a comprehensive amount of facts and figures, and most are heavily illustrated with outstanding archive photographs. All books are brand new. 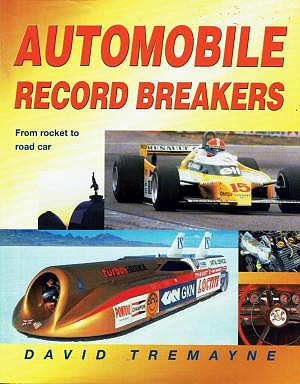 Written by an undoubted authority on the subject, this great little book which looks back at the history of speed and distance record breaking in various forms. It also looks at going fast in cars in various ways, including unusual cars (4WD, Turbo, 6 wheel as well as F1). There is also a large section on Project Thrust which took the Land Speed Record in 1983 with Richard Noble at the wheel (the project leader of the later SSC supersonic record breaker and the current Bloodhound 1000mph project). The book is full of facts, plus many excellent revealing photos. With the use of comprehensive lists and fantastic colour photographs, as well as fun facts and interesting statistics, this book charts the story of the car since 1960. You will learn how the development of modern vehicles, from sports cars to family hatchbacks and SUVs to hybrid/electric cars has influenced changes in society and how politics has dictated the type of cars we drive. You will also explore how the 21st century car has become an indispensable part of everyday life, and what the future may have in store for the humble automobile. This is a riveting read for all car enthusiasts and available at an outstanding price while stocks last. A fascinating and beautifully illustrated book about one of the most challenging episodes in the evolution of the motor car. While the book may sound like a work of science fiction, it is all true. Cars designed to be flown and aircraft designed to be driven have been created surprisingly often, particularly in the United States, where the unfettered optimism of the 1930s and 1950s allowed such fanciful ideas to flourish from time to time. This handsome book covers the subject in depth for the first time, revealing the stories of many doomed ventures, supported by a wealth of intriguing photographs together with wonderful artwork from comics, popular science magazines and science-fiction novels. Like the car itself, New Mini has proved a hot property, selling more than 7,000 copies - and Practical Classics termed the book 'excellent'. So much has happened since three years ago that a new edition has become necessary, with coverage of the very latest diesel and cabriolet models. This expanded book, packed with even more information and photographs, is expected to become a fashion accessory among the 500,000 people worldwide who have now bought BMW's trendy baby. 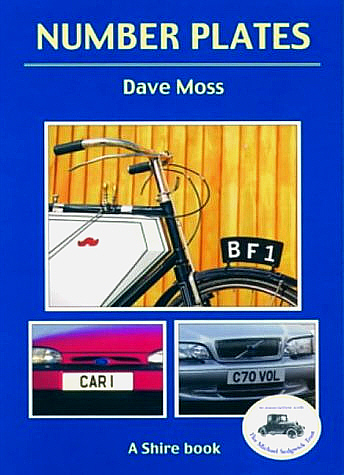 Of particular use to car spotters and photo identifiers.The book explains the history and methodology of the numbering system, regulatory issues regarding size/placement; also rare, trade, temporary plates. It is of particular use to car spotters and photo identifiers. Author David Fletcher is a specialist in war vehicles and this well-written paperback publication provides a huge amount of facts and figures, plus approximately 50 excellent photographs of many of the finest staff cars produced in many countries. 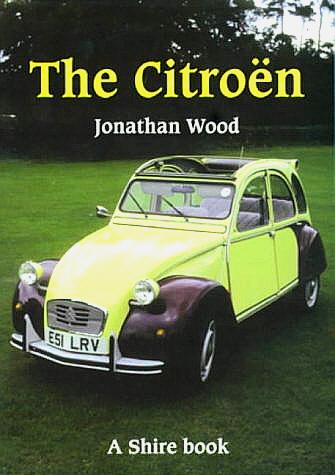 This excellent paperback reference book by a highly respected motoring historian provides a detailed history of the Citroen company throughout the 20th Century and how it became one of the biggest motor manufacturers in Europe with a range of popular cars. The book is well written, with much historic detail, and also includes approximately 50 revealing black and white photographs. 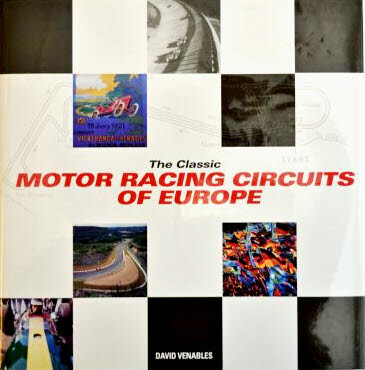 Beautifully presented, revealing and fact filled guide to all of Europe's legendary motor racing circuits, including Monza, Nurburgring, Donington, Le Mans, Brooklands and many others. Contains hundreds of excellent colour and black and white photographs, circuit maps, program covers and much more. The book was written by the highly respected David Venables, a leading authority on the subject and it will enthral everyone who buys it. The Encyclopedia of Formula 1 chronicles the history of the world championships, for the 50+ years from Giuseppe Farina's victory for Alfa Romeo at Silverstone on 13 May 1950. It has an easy to read style and contains several hundred photographs. All the best loved and respected drivers are profiled along with the most important, innovative and successful teams and marques that have made the sport the multi-million pound industry that it has become. The popularity of the sport has meant that Formula 1 has truly become global, a fact that is reflected in the number of new circuits that have been added to the Formula 1 calendar over the years. These new circuits, as well as those well-established tracks, are illustrated and the daring deeds performed on them narrated. The history of Formula 1 is a story of ingenuity and endeavour, rivalry and camaraderie, triumph and tragedy, in pursuit of the greatest prize in motor sport. There is something for every racing fan in "The Formula One Miscellany". Formula One's World Championship dates back to the middle of the last century and has developed a reputation for glamour, glitz and glory. Within these pages, the reader will learn hundreds of fascinating facts about the sport on a whole range of topics, from cars and drivers to teams and tracks. 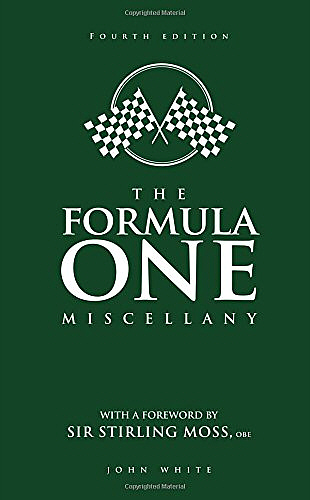 Painstakingly researched, "The Formula One Miscellany", which contains driver biographies, circuit descriptions, team information, details of the famous head-to-heads and much more, will bring hours of reading pleasure to all fans of Formula One. The Humber motor car company was one of Britain's oldest car manufacturers, with its first model being built at the end of the 19th Century. In later years it became part of the giant Rootes empire and also made vehicles to help the war effort. 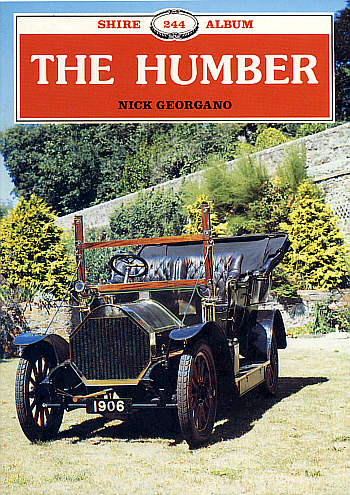 Although it now several decades since the last Humber cars was produced, it is a company which retains much fondness by many enthusiasts and this book details its history, including more than 50 historic photographs. In 1935, William Lyons' new company, SS Cars Limited, launched a range of cars, the Jaguar. Later adopted by the company, the name became known for luxury saloons and sports cars noted for their style, performance and good value. This Album details with the early work of Lyons and his partner, William Walmsley; from the original Swallow sidecars and car bodies, including the Austin Seven Swallow and the Standard Swallow, and the progress made by Lyons with his own business. Aston Martin - those two simple words conjure up exciting images in any enthusiast's mind. Images of power, speed and elegance with a dash of suavity thrown in. 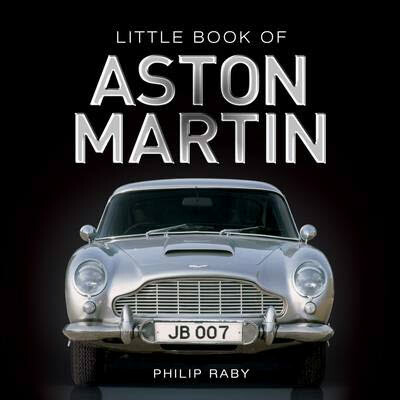 This little book gives a potted history of Aston Martin, outlining the company's chequered background and how it has evolved to be the prestige marque it is today, recognised around the world. It also features some of the most interesting and important road-going models that Aston Martin has produced over the years complete with performance figures and statistic fact boxes. The Little Book of the Beetle tells the fascinating story of the little car that brought modern day motoring to the masses. 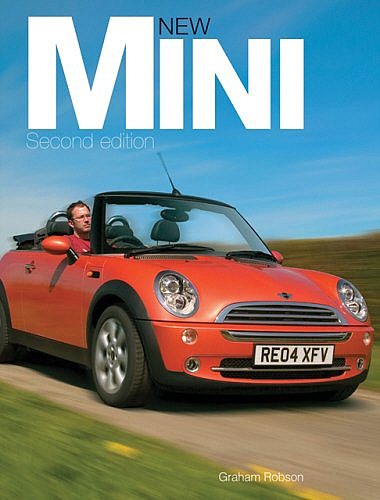 "Think small" said the advertising campaign – what better way to celebrate the VW Beetle than with a Little Book! Truly the world’s most popular car of all time, the Volkswagen Beetle holds a special place in the heart of many a motoring enthusiast the world over. To some it’s the Käfer, to others it’s the Vocho to most it’s the plain old Bug – whatever you want to call it it’s a motoring icon without comparison. From its beginnings in the dark and sinister days of Hitler’s Germany through to its modern day reincarnation. When H. F. S. Morgan designed and built his first three-wheeled single-seater car in 1909, he could never have envisaged the enormous success that his cars were to enjoy. Several attempts have been made by major manufacturers over the years to take over the company but all have been resisted, making Morgan the oldest family motor manufacturer in the world. 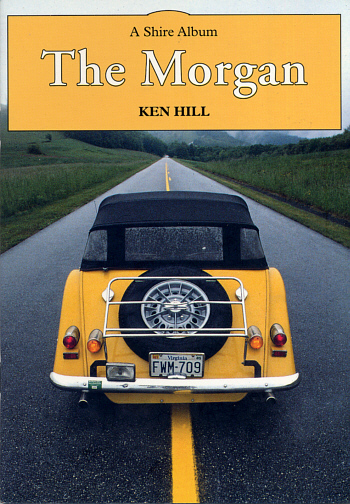 Such is the attraction of the Morgan that the company no longer has to advertise its cars and the waiting list for a new car is between six months and two years, depending on the model ordered. With the exception of the Hillman Imp plant at Linwood private car production in Scotland effectively ceased with the closure of the Arrol-Johnston's factory in 1931. The story of the Scottish motor industry is the story of Argyll, Arrol-Johnston and Albion, but of these only Albion survived into modern times. 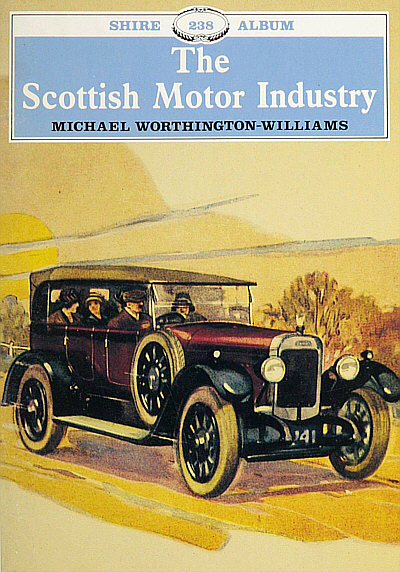 At various times Scotland has supported well over fifty independent manufacturers of motor cars, motorcycles, trucks and buses and this book chronicles the rapid rise from 1897, and the slow decline of the Scottish industry which set in from 1914 onwards. If you love driving, a sports car is the ideal vehicle. It has tactile handling, a strong performance, head-turning looks, and these are just some of the elements that make sports cars fun. 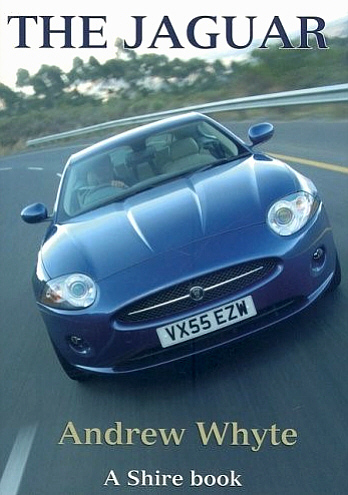 This book provides a complete introduction to the world of sports cars, with practical advice on how to choose the most suitable model, and what to expect when running one, as well as guidance on insurance, accessories, modifying and maintenance. 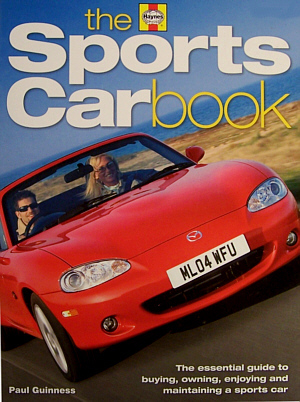 This is essential reading for anyone contemplating the purchase of their first sports car, as well as for existing owners who want to maximise their enjoyment of sports car ownership. Veteran cars are those made not later than 1918 and were thus the earliest motor cars to appear on the roads of Britain. The first models basically comprised the frame and bodywork of a horse-drawn carriage fitted with a petrol engine, but during the period up to the First World War they became much more comfortable and efficient vehicles. 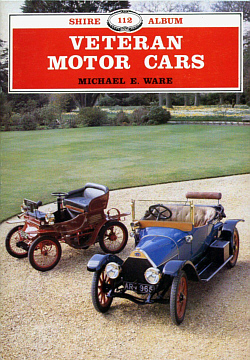 This book describes how the motor car developed from its unpromising origins in the 1880s and 1890s, when motoring was mainly a hobby for wealthy eccentrics, until it came to be seen as a serious means of transport. 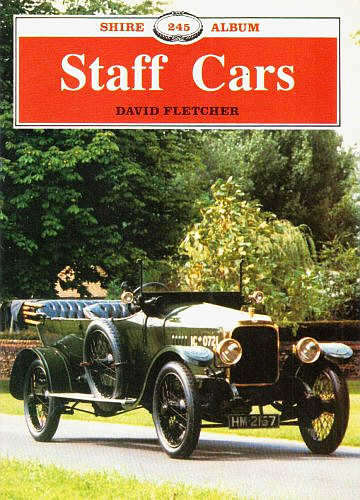 This book tells of those fascinating makes and models that were manufactured between 1919 and 1930, from the crude and inexpensive cyclecars and popular light cars like the Austin Seven and Bullnose Morris Cowley to the Rolls-Royce and Daimler luxury limousines and the exciting sports cars such as the Frazer Nash, 12/50 Alvis and Bentley and 30/98 Vauxhall. It is intended for all those fascinated with the vintage era, whether they were motorists in those days of inexpensive petrol and uncongested roads or younger enthusiasts who have become aware of the joys of driving these cars in more recent years. 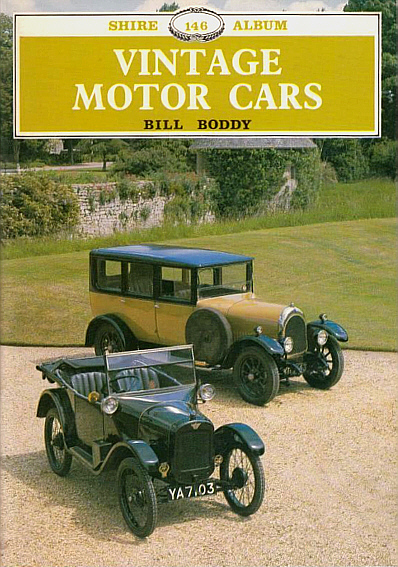 Bill Boddy attended his first vintage motor-race in 1927, at Brooklands, with his mother. He has been the editor of a motoring journal longer than anyone else in Britain, having run Motor Sport by 'remote control' during the Second World War and becoming full-time editor in 1945.